Product prices and availability are accurate as of 2019-04-18 01:01:33 EDT and are subject to change. Any price and availability information displayed on http://www.amazon.com/ at the time of purchase will apply to the purchase of this product. 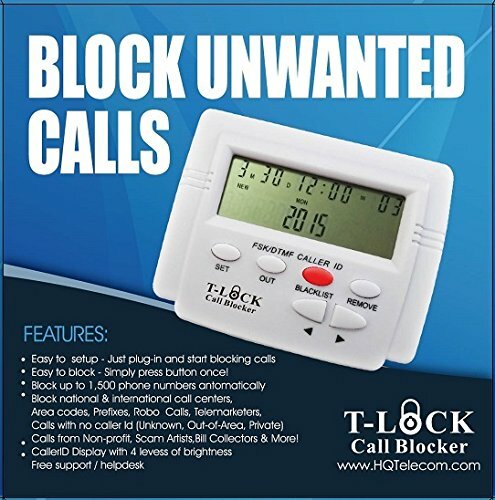 This modern and eco-friendly incoming call block device can block number (s) from nuisance callers in the Blacklist (or block number list). 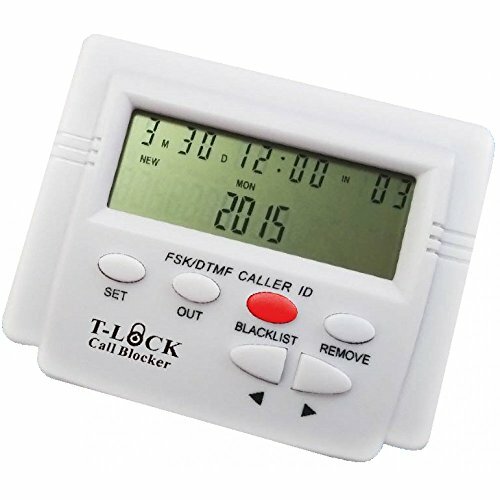 Up to 1,500 telephone numbers (up to 16 digits each) can be easily added to Black list memory by simply clicking a button. 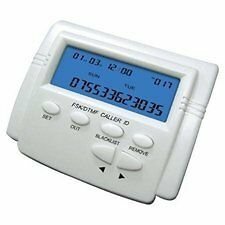 It also stores 100 incoming calls, and 50 outgoing calls. Besides phone calls, junk faxes can also be blocked to prevent waste of paper. - LCD display has 4 levels of brightness; Desk/Wall mountable. Applications: This is the ideal solution to increase productivity and privacy in households & workplaces. 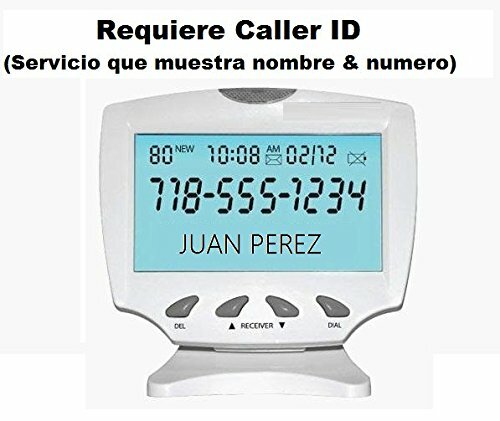 Stop answering unwanted calls, including call from Telemarketers, Politicians, Junk faxes, Charity/nonprofit organizations, Research companies conducting polls/surveys, Collection agents, banks, lawyers, hospitals, credit cards companies, and many more! ....(U.S. Federal Government sponsored "Do Not Call" registry program does not apply to politicians, non-profit, research organizations). Includes a 12-month subscription to HQTelecom's Virtual BLACKLIST Unsolicited Phone number Online Lookup service.